Are 3D Home Tours the Next Big Real Estate Technology Trend? There’s been a lot of buzz about 3D home tours since Real Estate Connect New York wrapped up. At the conference, companies like Matterport took center stage to explain how 3D virtual tours are going to revolutionize real estate. As a tech trend, 3D is pretty cool because rather than providing a rendering of a space, it gives potential buyers the ability to “walk through” a home without physically walking through a home for the first time ever – but as with any trend, you have to look at all sides to evaluate risk and reward. Let's take a look at the pros and cons of 3D home tours. The next big thing is always good to have on your side when you’re trying to set yourself apart from your competition – and this is a really cool next big thing. 3D hasn’t been around for long and it’s just now making real estate waves in the mainstream media. In an industry where there are traditionally lots of technology laggards, incorporating 3D tours into your business will catapult you to the front of the real estate tech adoption pack - a move that will likely help you earn credibility with tech-savvy buyers and sellers. 3D tours provide a great selling point to sellers and home shoppers will love virtual tours that offer realistic representations of space that you just can’t get from photos. Using 3D tours will also cut down on the amount of homes a buyer needs to see in person by giving them enough information to decide whether to move forward or veto a property. This new technology offers even more benefits for home shoppers who can’t physically walk through a home because they’re searching from afar. Just the 3D camera costs $4,500 - and you need an additional $450+ in equipment. With the high cost, you have a big decision to make. Will your bottom line benefit enough to make it worth the nearly $5,000 cost required to incorporate 3D walkthroughs? Time is money, and if you incorporate 3D virtual tours into your business, you’ll either need to take the time to learn how to do it yourself or you’ll have to cough up the cash to hire someone to manage the process. As with all trends, there’s a chance that 3D virtual tours will fail to pick up enough steam to continue to be profitable for the companies supporting them. Investing early is always a risky move when the future is unknown – so you have to decide whether or not investing early in 3D virtual tours is worth the risk and whether it is a savvy business move for your business. 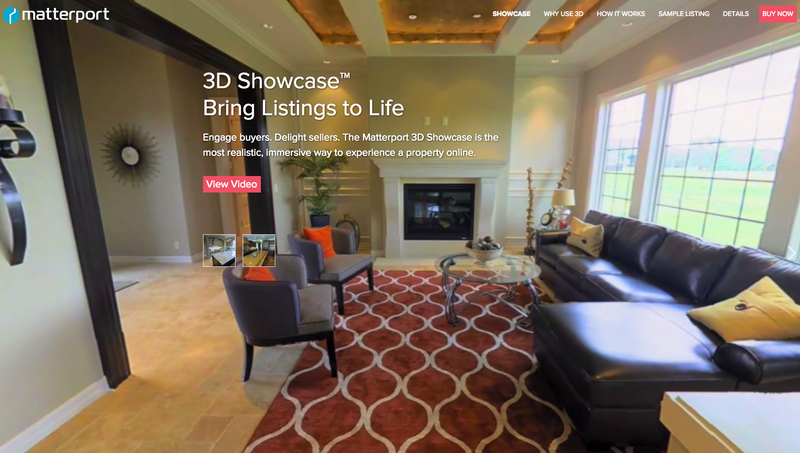 So is it realistic to incorporate 3D home tours into your real estate marketing? If you’re extremely successful, have money to spare and are looking for a cool feature that will help you stand out from your competitors - go for it. If you’re an average agent trying to sell enough to support yourself, you would be wise to wait until a more affordable “next big thing” is available. Do you think 3D is going to be the next big real estate technology trend? Would you be willing to incorporate it into your brand? Share your thoughts in the comments. Need help building a successful real estate marketing strategy for 2015? Snag a copy of our Ultimate Guide to Real Estate Marketing Succcess!